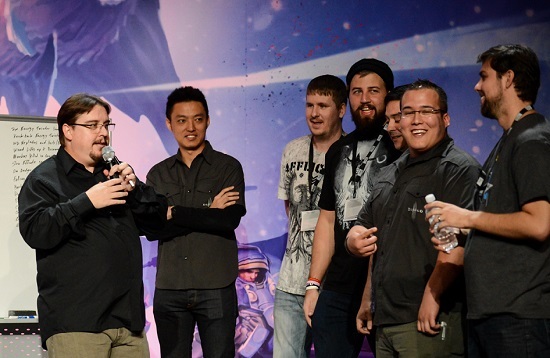 The Legendary Workshop event was part of the larger Evolving Reaper of Souls panel on Saturday at BlizzCon 2014. The developers reviewed a number of ideas for Legendary powers and chose the best one, and it will be added to an upcoming Legendary item. 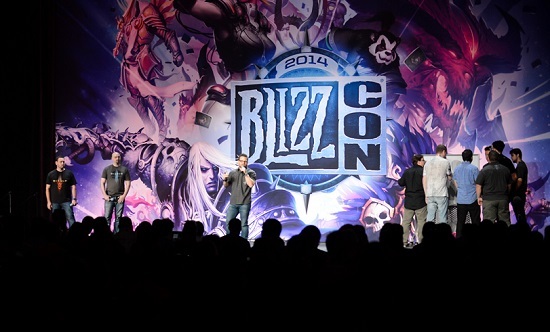 A Blizzard blog details indepth how that decision was made. 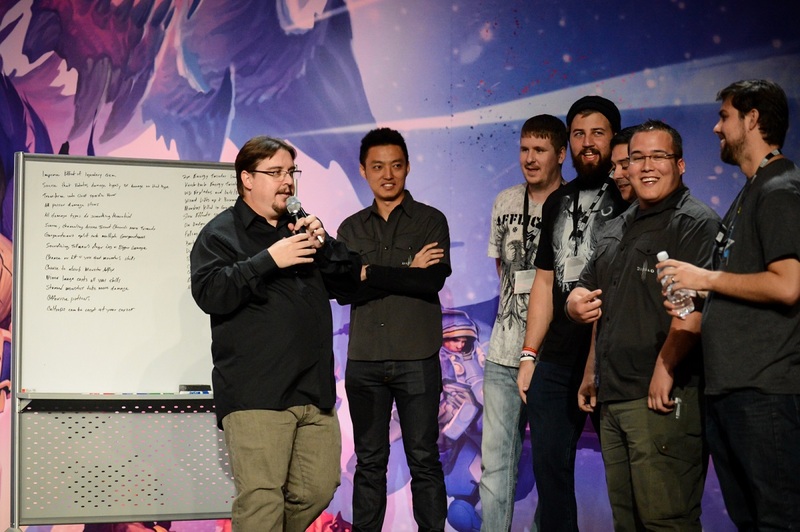 As part of the "Evolving Reaper of Souls" panel at BlizzCon, we held our first Legendary Workshop! 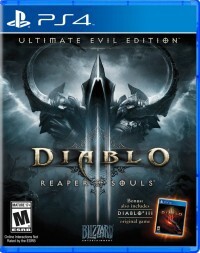 The event gave attendees a better understanding of how the Diablo III team comes up with Legendary powers by showcasing our brainstorming process and giving a few lucky panel attendees the chance to serve as guest designers. Our Legendary Workshop team included lead technical artist Julian Love, associate game designer John Yang, and software engineer Roger Hughston. Also joining us on stage were guest designers and community members Jonathan Wolk, Chris Shambo, Rocky Nicholson, and Chris Adams. After weighing ideas from the community (and developing a few of their own), our design team eventually settled on a single Legendary concept: an item that buffs different Elemental damage in a predetermined rotation. Read on to find out how and why they chose this epic ability. As Julian Love explained at the beginning of the workshop, the design team uses a three-part method to create and evaluate new Legendary powers: gather, refine and reflect. 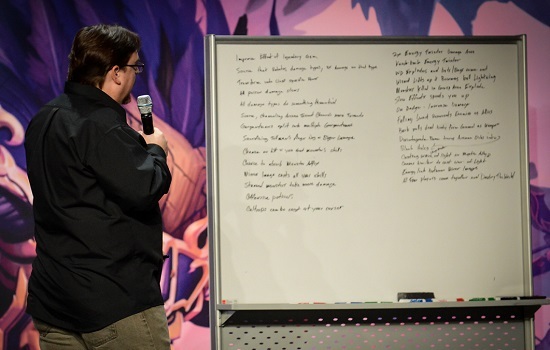 He went on to describe each step of the process and how it would be used to evaluate ideas from the community, to improve upon them, and ultimately to choose the best for a future Legendary item. The first stage of creating new Legendary item powers involves gathering as many ideas from different sources as possible. The focus at this stage is to brainstorm a variety of concepts without worrying about how each one will function in its final form. Next, the team moves to the refining stage. 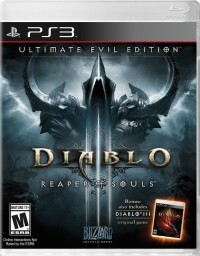 They look for weaknesses in an item's power, and ask how they might change it to make it work. The goal at this point is to refine the list into a smaller number of viable gameplay designs. This is also the stage where the team decides if and how an item fits into the larger picture of itemization and then evaluates it against their design goals. Reflecting is the final stage, where the team reflects on what they did with each of the original ideas. They also provide feedback to the people who originally presented their ideas, so they can learn from the experience as well. Even though ideas may get tossed at each stage of the process, Julian noted that they're never truly gone. Instead, they go into what the team calls an "idea graveyard." As Love explained, "Much like the graveyards of Sanctuary, things are being resurrected from there all the time." "We believe that even bad ideas have a kernel of goodness," he told audience members. Even though an idea may be set aside for now, it may also be worth revisiting at a later point. 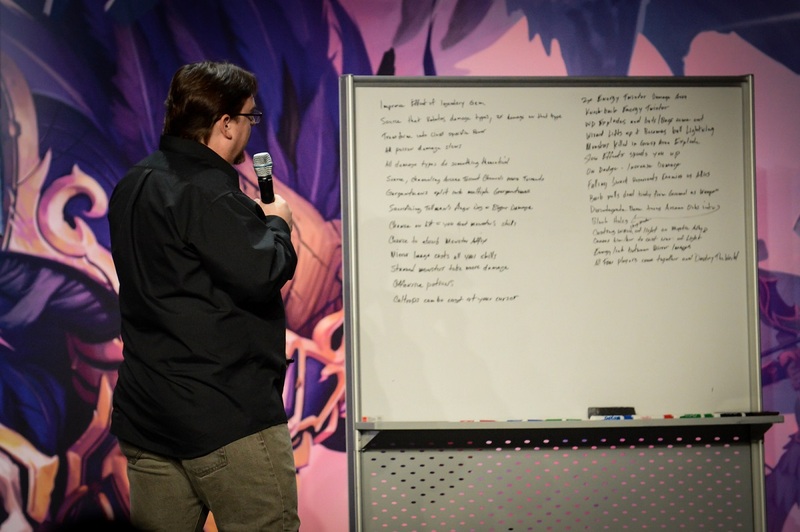 Between online submissions from community members and players who attended the "Evolving Reaper of Souls" panel (or dropped by our Community Corner at BlizzCon), there were lots of great ideas. Before revealing the power they liked the most, the team took a moment to reflect on ideas they ultimately decided not to use, and why. One of the ideas was a belt that you could wear that would grant you random skills from another class. 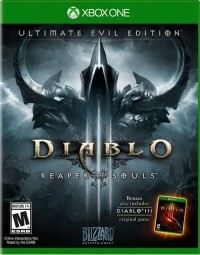 “It sounds exciting, especially for those of you who remember the Enigma runeword from Diablo II,” Love said. Unfortunately, this idea conflicts with the goal the developers have of “concentrated coolness,” or making each class feel unique. The moment Crusaders can start teleporting, the Wizard becomes less cool, because that skill isn’t unique to their class any more, making them feel less special. Another idea that didn’t quite make the cut was having potions that grant offensive power. As Hughston explained, it’s important for items to have “clarity of intent.” In this case, the designers want the defensive nature of potions to remain clear to players. When the dust had settled and the team had narrowed their choices down, one idea stood above the rest. For our designers, the best idea from the community was an item that buffs different elements in a predetermined rotation. While the initial idea was meant to only benefit the Wizard -- and it certainly would, especially for players using the Tal Rasha set -- it could also benefit other character classes. This flexibility was icing on the proverbial power cake. Coming Soon: A New Item! From here, our design team will take the Legendary power from the panel and decide on the item type, how it will look, the lore behind it, and the specific stats it will have. While we don't have an exact date for when it will appear in the game, be sure to keep an eye out for it in a future patch! 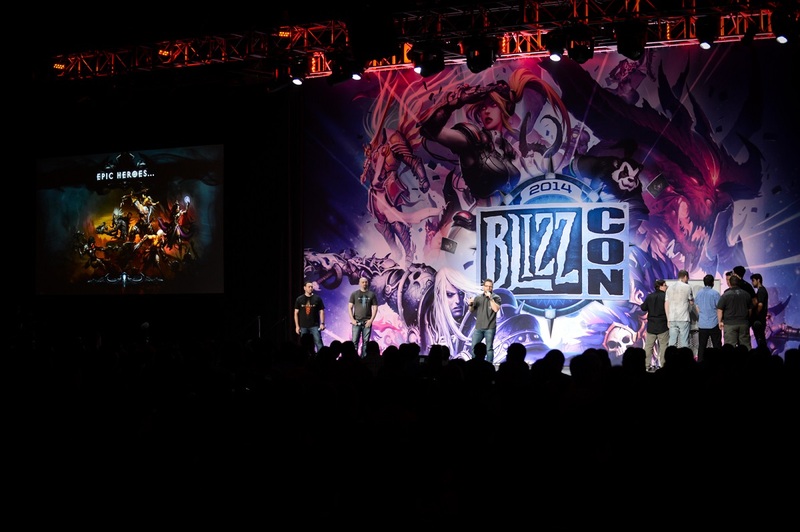 We'd also like to thank our community for sharing their awesome ideas, our guest panelists for evaluating them and brainstorming new ones with our development team, and all those who attended BlizzCon (or watched from home via Virtual Ticket) for being the inspiration for this event. Without you, we couldn't have made this epic event happen! 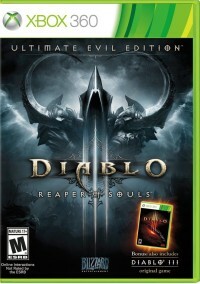 Here's to slaying demons (and crafting cool new Legendary Items together). We hope it was as fun for you as it was for us!